Hey there guys, I hope you’re having a lovely weekend so far! Today I thought I’d show you the mani I’ve been sporting this week that I randomly concocted, as I’m super in love with it and had to share! As we know sugary nail shades and pastel pinks are currently a big trend in the nail world, so I went with that theme to make a candyfloss-esque manicure that’s really unique. 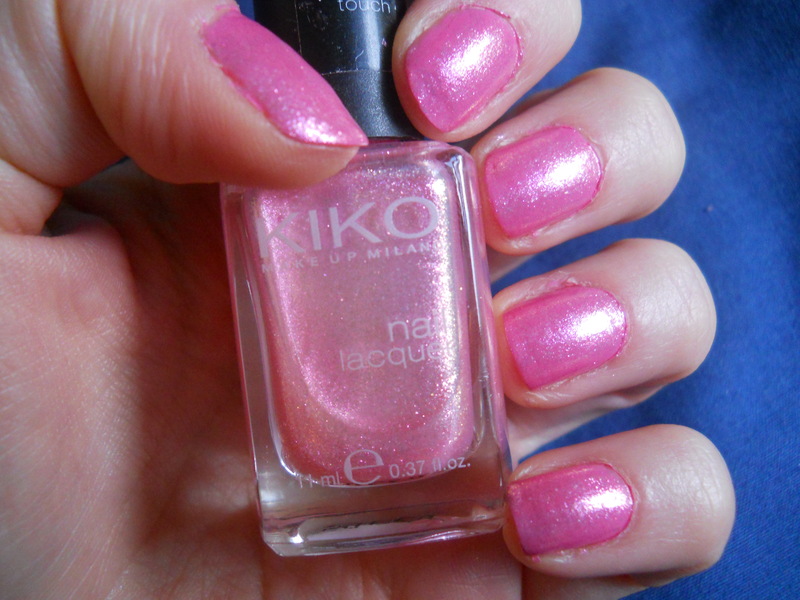 If you saw my indepth review of Kiko Cosmetics, you may remember me picking up an iridescent pink polish named 234 Pearly Fuschia, click here to see that, and I’ve been wanting to wear it more often. Being an iridescent glittery polish though it isn’t as opaque alone and doesn’t give the greatest effect. I decided to try out the amazing Kiko polish over a bubblegum pink in the form of Barry M’s Bright Pink, a polish I talk about a lot on here as I’m obsessed with it! 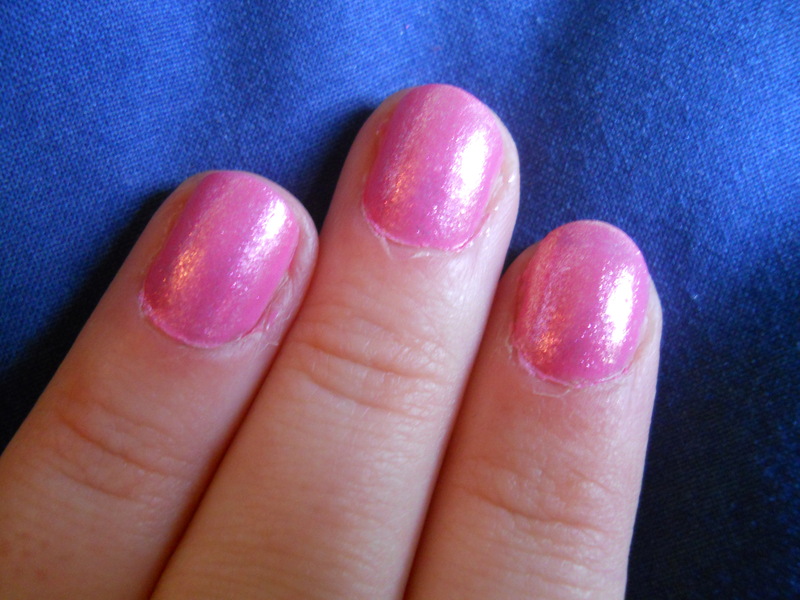 I layered two coats of Barry M’s Bright Pink for full opacity and then topped it with two coats of Kiko’s Pearly Fuschia, and oh my, just look how it turned out! The pink Barry M base really let this polish shine, and it creates a gorgeous sweet shop pink colour! What’s better, both of the polishes featured today are under £3, so for under £6 this is a super cheap way of getting cute nails, without the price tag. I picked up this Kiko polish for £2.50 which is a bargain for such a unique colour and effect and of course the Barry M nail paints are more than affordable at a lowly £2.99 each. You can pick up the Kiko polish here, and the Barry M polish here and I highly recommend the formula of both. I have plenty of Barry M and Kiko polishes to vouch for their longevity, ease of application and finish and you really can’t go wrong with these two in particular. Why not give it a try? Disclaimer: All images were taken and are owned by me. No links are affiliate links and I am not affiliated with any brands or companies mentioned. All opinions are my own. I purchased all products with my own money.